Tree City USA Community since 1984. Blue Zones Community® since 2015. ﻿﻿HARLAN, the county seat of Shelby County, Iowa, was named in honor of one of Iowa's early and quite distinguished U. S. Senators, James Harlan. The original plat for the town was located on section 7, a mile from the present business center, the plat was executed by Adam and May Tuttle on August 9, 1858. The next platting was what is known as "Long's Addition", which was laid by James M Long, July 15, 1859, and together with "Wyland's Addition" and "McDonald's Addition", constitute the greater part of the early town of Harlan. It was in the year 1859 that the Shelby County seat was moved from Shelbyville to Harlan. Harlan was incorporated May 2, 1879 and William Wyland served as its first mayor. For more interesting history read this 1882 article. In 1997, Harlan joined a unique group of technologically advanced communities when it constructed a Metropolitan Area Network, utilizing ATM technology, providing high-speed data access 100's of times faster than traditional service. Delivering voice, video and data traffic simultaneously at 155 megabits per second. Harlan is home to approximately 350 businesses. Regionally and nationally recognized employers include: Myrtue Medical Center, CDS Global, West Central Community Action, Monogram Foods, Variety Distributors, Harlan Community Schools, Elm Crest Retirement Community, Farm Service Cooperative, Jacobs Global, Conductix Wampfler, QBE First, Shopko, Caseys, Concerned, Inc., HyVee and Fareway Stores. Twenty-one churches provide religious fulfillment and leadership. They include: Abundant Life, Altamont Baptist, Bethel Baptist, Christ’s Church, Church of Christ, Community of Christ, Congregational UCC, Convenant Monastery, First Assembly of God, First Baptist, First Christian, First United Methodist, Fresh Encounter Fellowship, Grace Baptist, Immanuel Lutheran, Jehovah's Witnesses, Peace Lutheran Church Missouri Synod, Seventh Day Adventist, St. Michael's Catholic Church, St. Paul’s Episcopal, and United Methodist. 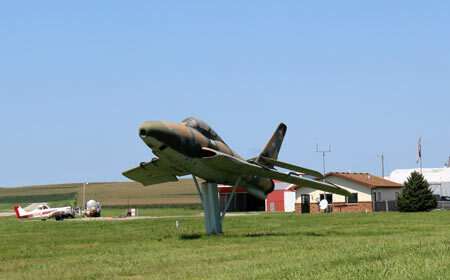 Harlan Municipal Airport is located 3 miles south of Harlan on Highway 59. It was the first in the nation for inflight breakfast. It is well maintained and up-to-date for runways and aeronautics. The cornerstone of the Shelby County Courthouse was laid in August 1892, officially kicking off the $63,000 construction project in downtown Harlan, Iowa. A 20-foot-tall was originally present in the center of the courthouse, which was officially dedicated in 1893. Following the removal of the tower in 1899, the courthouse remained largely unchanged for nearly 80 years. In 1978, an elevator was installed as part of a major interior renovation. The courthouse is one of 40 in Iowa built before 1900. Open for all residents of Shelby County and surrounding southwest Iowa. The building houses the Shelby County Senior Center and Meal Site and a large multi-purpose activity center. Residents of the area can utilize the building for social, cultural and educational gatherings of all kinds. The library has just “gone live” with a new service to download audio books and eBooks from your own computers at home. This 15,000 sq. ft. facility is the hub of the community offering 50 hours of public access each week. It has one of the state’s highest per capita usages and offers over 45,000 volumes, hundreds of audio books, cds, and videos as well as subscribes to over 120 magazines and newspapers. Specialized areas include: genealogy, children’s area, reference section, one of the Iowa Communications Network sites, and a large meeting room. A progressive Parks and Recreation Board oversees the multifaceted city recreation program with league play for volleyball, softball, basketball, swimming, and baseball. Pioneer Park, one of nine parks in Harlan, has a 1.5 mile walking/jogging trail and a 10,000 sq. ft. handicap accessible dream playground for toddlers to teens. Six baseball/softball diamonds at J.J. Jensen Park. Little George Lake offers fishing and ice skating and eight tennis courts add to the list of opportunities. The county offers two 9-hole golf courses; Harlan Golf and Country Club and Shelby County Golf Course. Newly constructed in 2010, this facility houses a state-of-the-art physical therapy operation and a premium fitness center. The center has 4 lane swimming pool, zero depth entry pool, 2 water slides, resistance channel, spa, dry sauna, 3 lane indoor walking track, state of the art fitness equipment, racquetball, basketball, and group classes. Located in Harlan and opened in 1975 as a Bicentennial project. 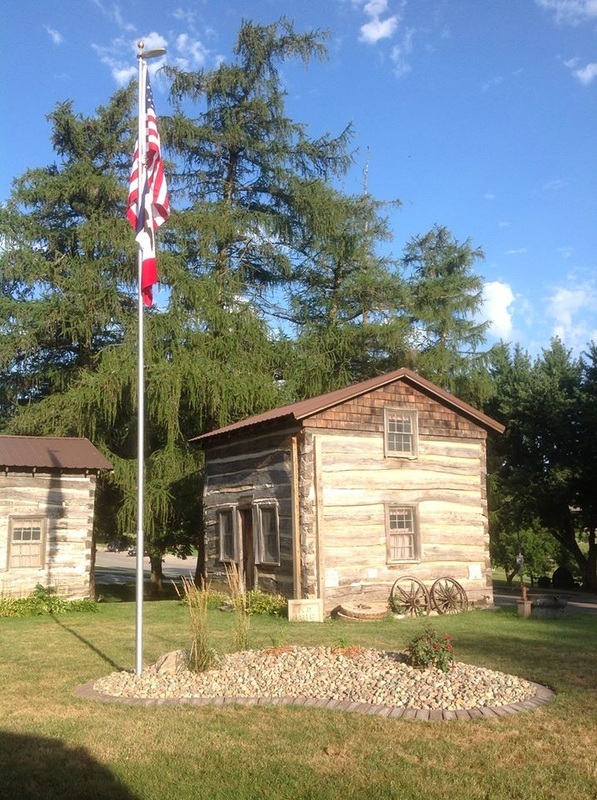 The museum has grown to four buildings, including two log cabins. Located at the Shelby County Fairgrounds in Harlan, the 4/10 mile, high banked oval dirt track has a seating capacity of 2,300. Races are held most Saturday nights; first of May through the middle of September. The Aquatic Center is your site for outdoor water enjoyment. There are water slides, two diving boards, eight swimming lanes, shallow end complete with a raining mushroom for the toddlers, ample space to lay in the sun or shade, and a concession area. 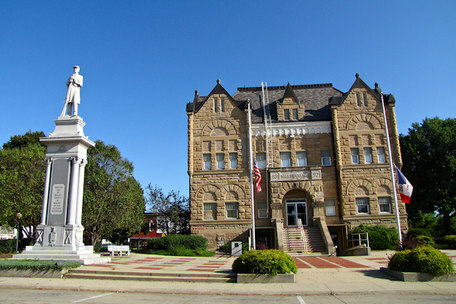 The Shelby County Courthouse nestles in the center of the Historic Harlan Downtown Square. Many of the buildings in the Harlan Downtown Square were listed in the National Register on September 23, 1994. Of the 51 buildings located in the Historic Square district, 19 were built before 1892; 27 were built between 1892-1902; and five were built after 1902. In addition, the district includes three monuments. Offers a venue for numerous events and activities, such as community dinners, wedding receptions, annual Home & Garden show, class reunions, community basketball and more. Copyright © 2015 Blue Zones, LLC and Healthways, Inc. All rights Reserved.